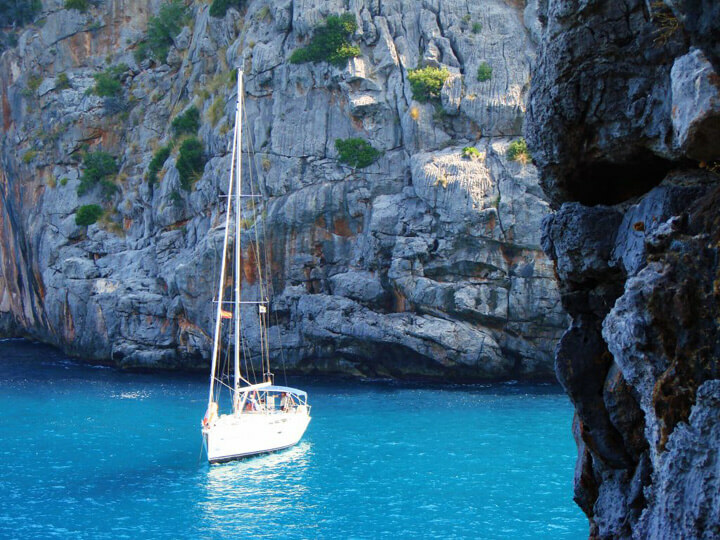 Sa Calobra is located between Morro de sa Vaca and Morro de ses Fel·les, under the Puig Major (1.445 meters above sea level ), the highest peak of the Balearic Islands. The erosion of Torrent de Pareis´water during thousands of years through the Serra de Tramuntana has origined the beach (between cliffs that reach the 200 meters high). 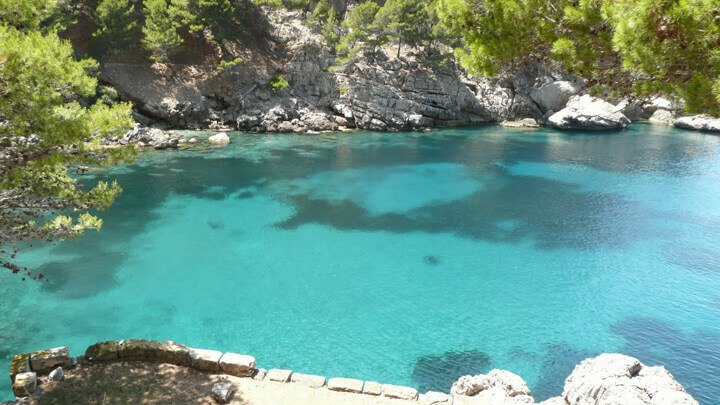 The claim of this beautiful piece of Majorca is the marvellous natural landscape where is located and its stunning pure views which let you admire the transparent blue sea. It is a sand, gravel and boulders beach.